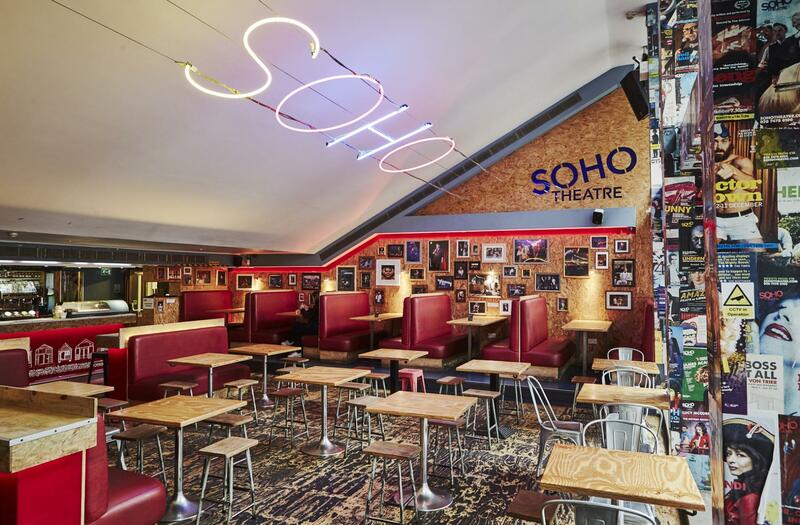 Soho Theatre has raked seating sloping down to a flat floor stage (dependent on set). 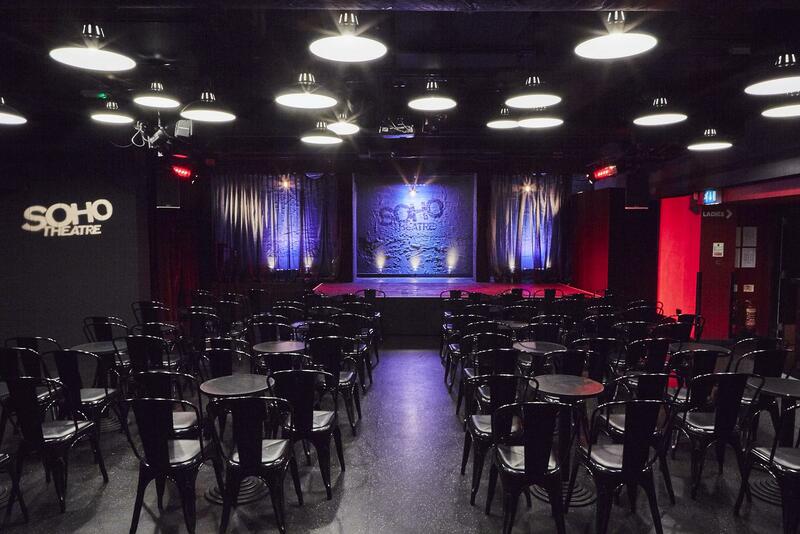 It is ideal for showcases, TV run through, conferences, press launches, lectures, awards ceremonies and company meetings. The stage will often have elements of a theatrical set in place, adding a unique aspect to any event. - Minimum hire 3 hours. Theatrical sets can affect the functionality of the space. We aim to send the client set plans and photos as soon as they are available. We assess the safety of each set very carefully and communicate with clients if we have any concerns. The adjacent dressing rooms do not form part of hires. 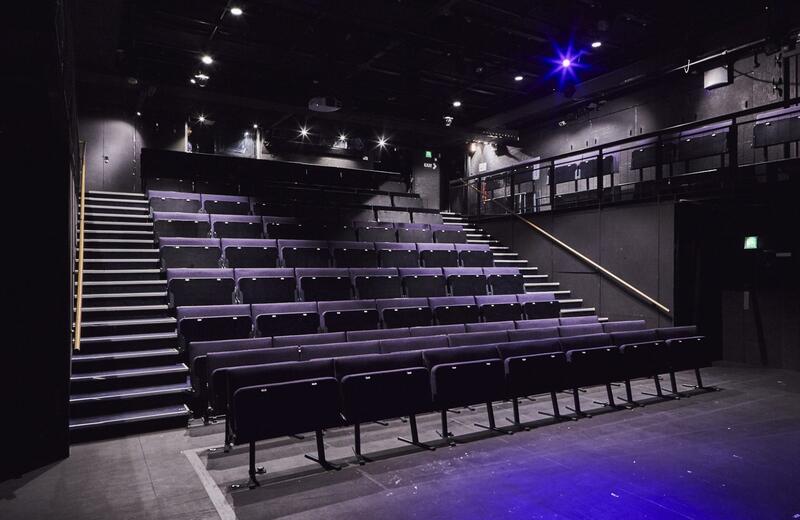 If you do require a dressing room / break out space, the Seminar Room on the 3rd floor can be hired for a £50 + VAT day rate when a performance space is booked. Available for hire 9am till 6pm, any day of the week, additional availability 6-10pm on Sundays. A baby grand piano (£60 recharge if additional tuning is required). Lift access and level access to auditorium. Ramp access to stage via dressing room, if booked. Available for hire 9am till 6pm, any day of the week. 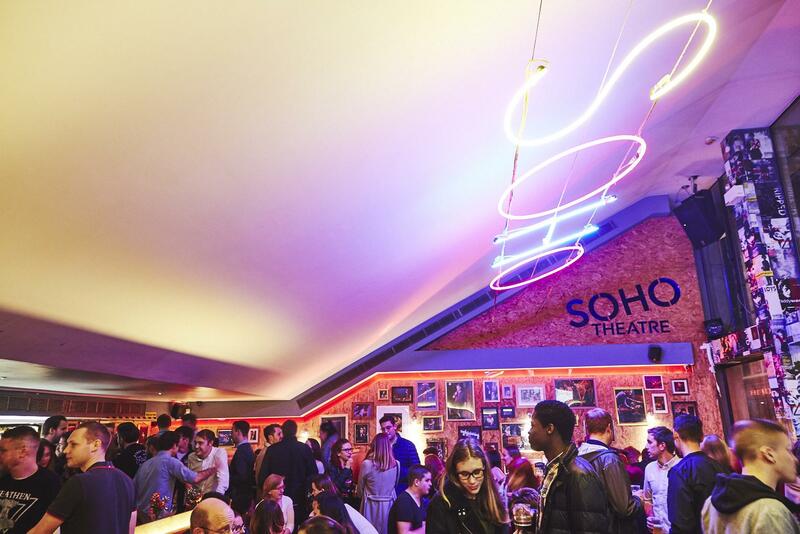 Soho Upstairs, our studio theatre space, is a black box space with flip-top chair seating. The seating can be arranged to suit your event, though steeldeck rostra is fixed. 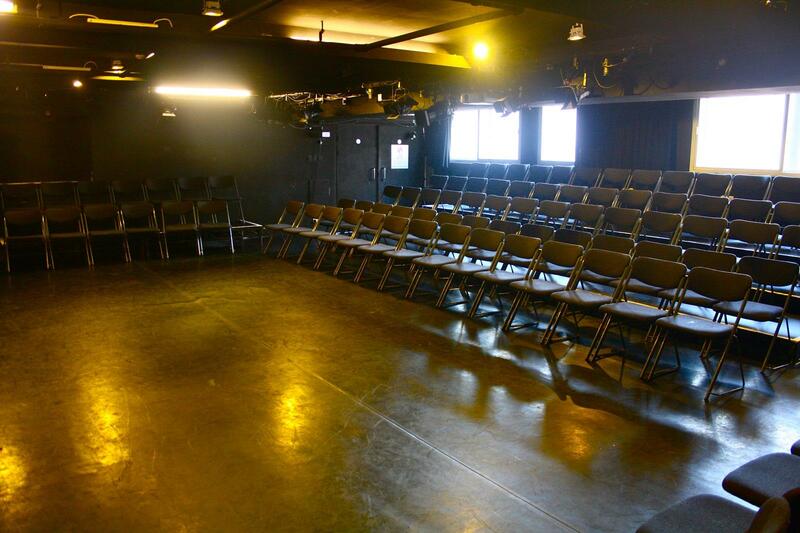 The space is ideal for readings, workshops and small showcases. 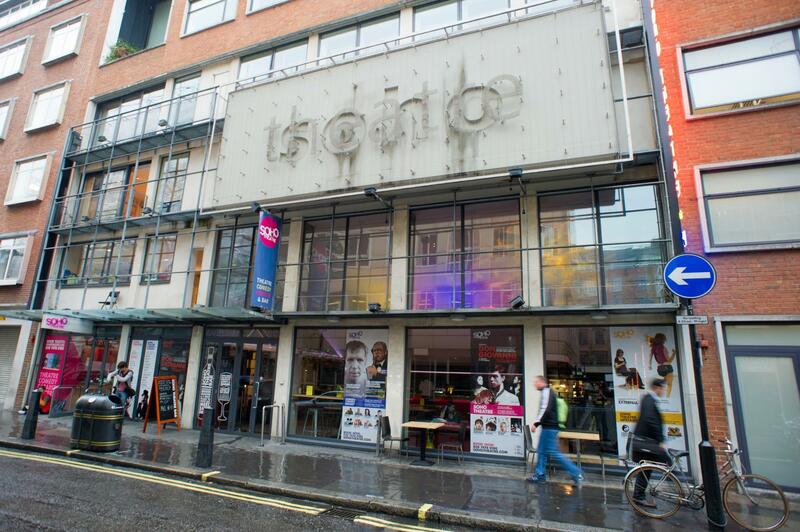 The space is licensed to 100 including staff, performers and company; we usually lay out the space to 84. The stage size is variable dependent on layout and set, but typically is 3x6m. Please note this venue has a fairly low ceiling, clearance is 2.3m. A range of catering services are available from our bar. This space is usually clear and neutral for daytime use. Occasionally, there will be a larger set in place that cannot be moved for daytime use. If this is the case, we aim to send the hirer plans and photos as soon as they are available. 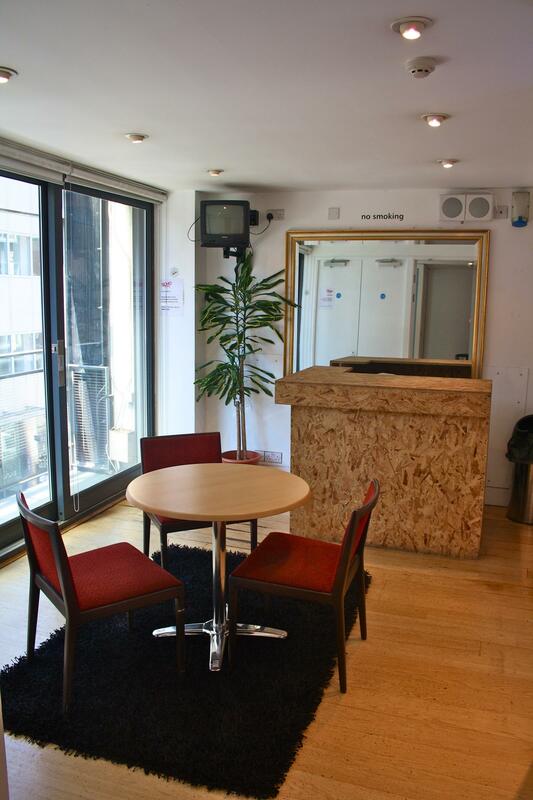 Dressing room facilities are not included with hire; as an alternative dressing room / break out space, the Seminar Room on the same floor can be booked for a £50 + VAT day rate when a performance space is booked. Available for hire 9am till 6pm, Monday – Saturday. 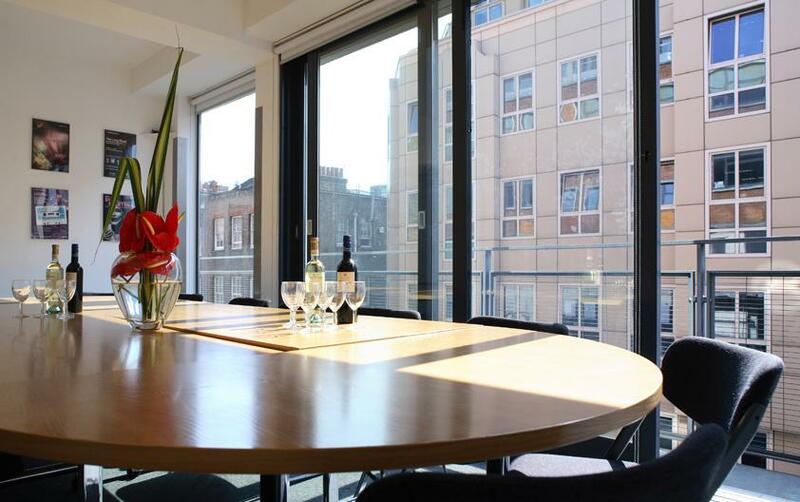 The Terrace Bar is suitable as an intimate meeting space or for small castings, model castings and rehearsals. It has floor to ceiling windows that open on to a small balcony providing natural light and fresh air. There is a separate waiting area in 2nd floor foyer, and toilets on the same floor. The room is not soundproof. 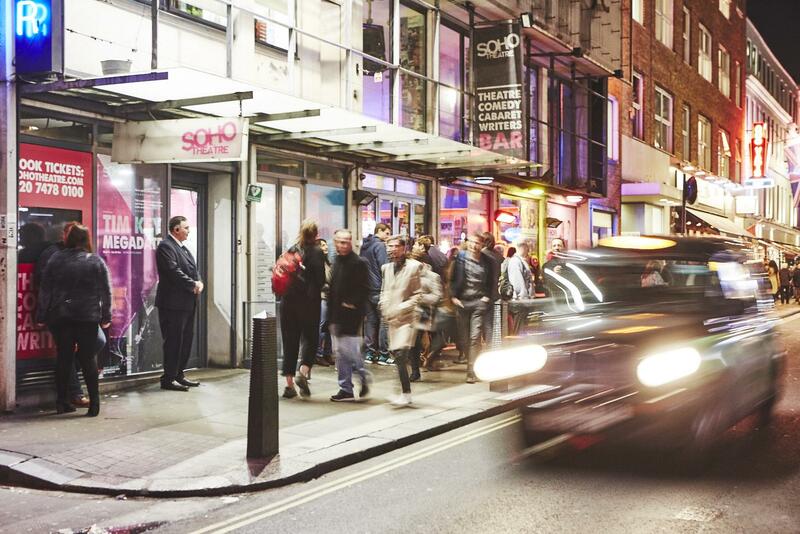 Jan 2016: At the moment there is demolition work taking place opposite Soho Theatre – the noise levels from this site are unpredictable. Please bear this in mind when booking.